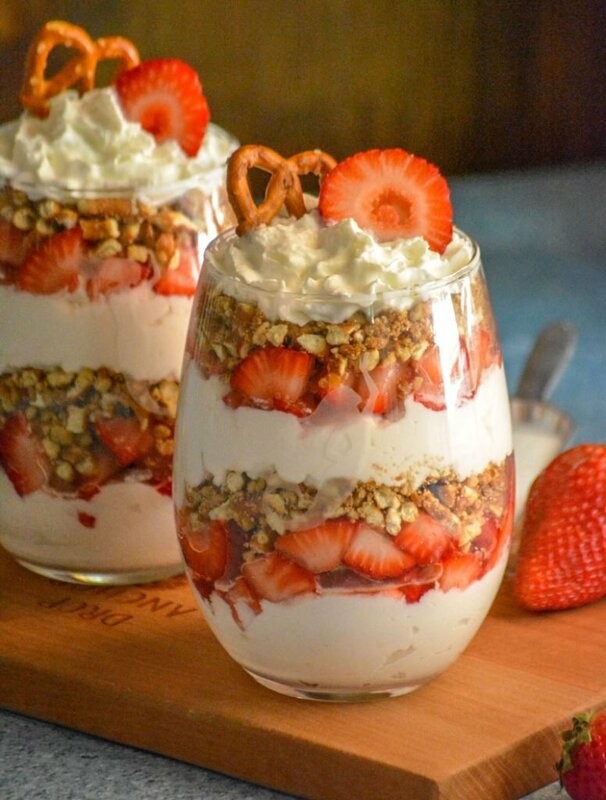 Is it a dessert? Is it a breakfast? 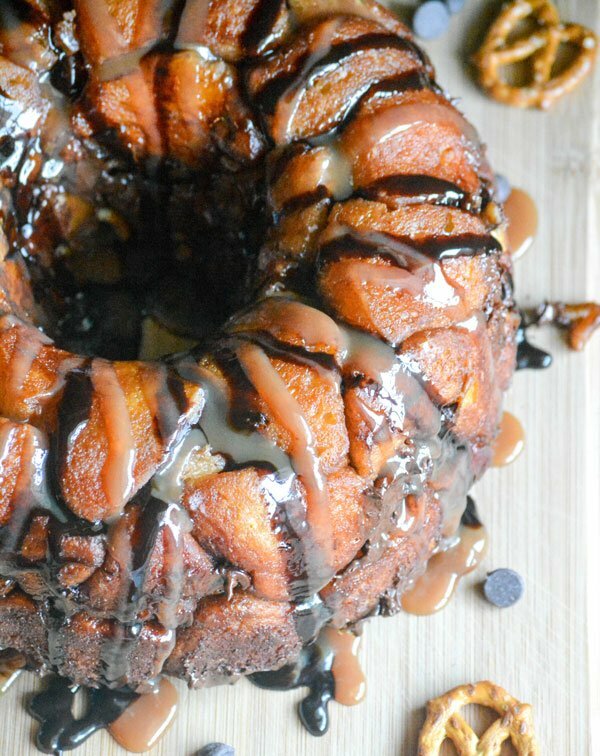 You decide which applies to this dreamy Chocolate Pretzel Monkey Bread with Caramel Sauce Drizzle. 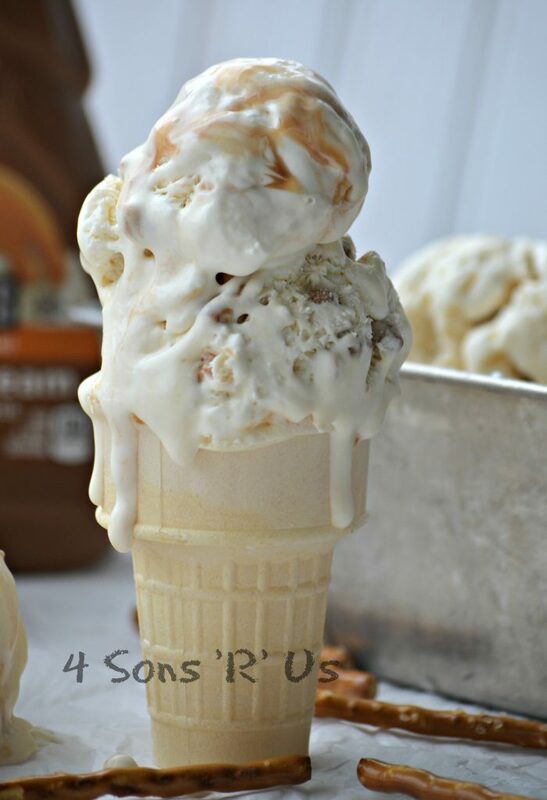 As if rich and creamy no churn ice cream wasn’t tasty enough already– this Salted Caramel Pretzel Ice Cream is liberally studded with chunks of salted pretzels and a generous caramel swirl. Who doesn’t remember eating these as a kid? They were always a huge treat for us. You could open the bag and just smell the mustardy, oniony addictive-ness. We’ve always got some sort of your basic pretzel on hand in the pantry. As a splurge purchase, I will occasionally buy a bag of our favorite seasoned pretzels. 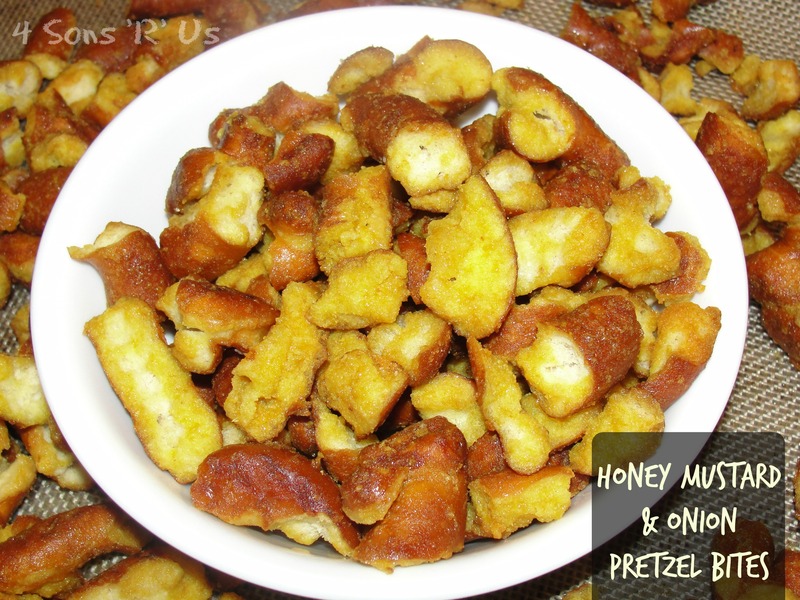 We are total total pretzel freaks, so I was delighted to find and try this recipe. I knew the sons & I had to give it a go ASAP. They were so excited about them, they insisted on taking over and doing it themselves. The result? These taste EXACTLY like the ones you know and love. And they’re perfect! Whip up your own from scratch batch whenever you get a craving. 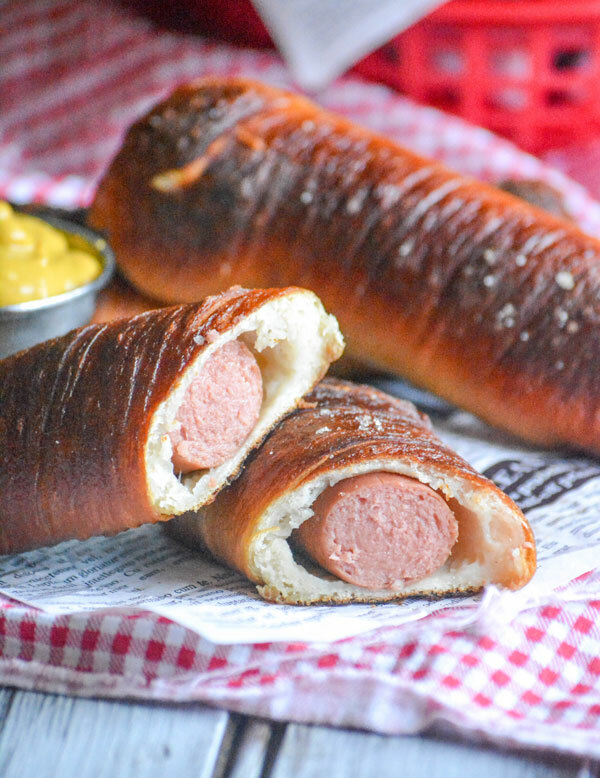 You will not be able to stop snackin’ on these lip-smacking hard pretzel bites. 1. Preheat oven to 275 degrees Fahrenheit and line a large baking sheet with silicone baking mats or parchment paper. 2. In a large bowl, whisk together vegetable oil, honey, yellow mustard, and onion powder. 3. Smash the sourdough hard pretzels against your counter-top into bite-size pieces. 4. 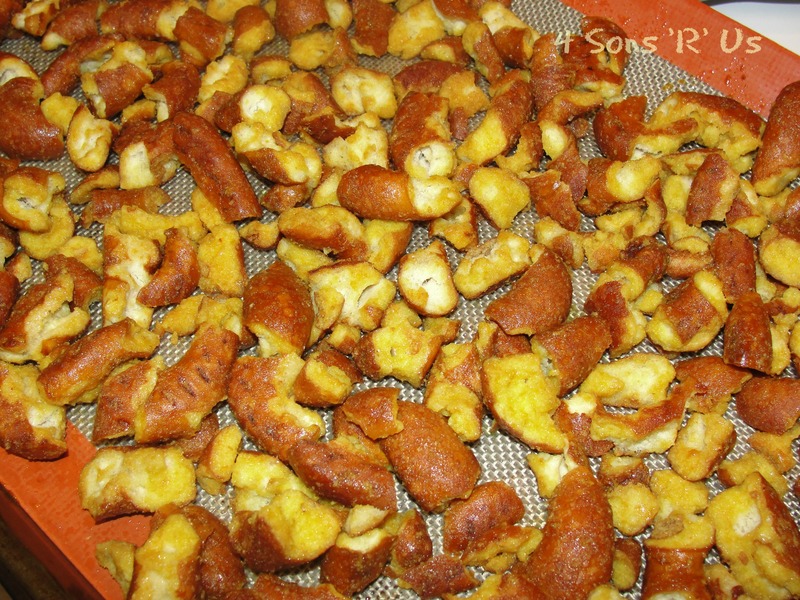 Pour the pretzels into the mixture and toss well to coat every piece. 5. Pour the pretzels onto the baking sheet and spread them out in an even layer. 6. Bake for 30 minutes, tossing/turning the pieces halfway through baking. 7. Remove from oven, let cool, then store in an airtight container.